Yes, it happened. A renewal date came up, was missed and before you know it, when attempting to pay the renewal we find out the domain was put up for auction and purchased by someone else. Now what!? Facing the situation professionally was hard and embarrassing, my head hit the brick wall several, painful times before I sucked it up and started hunting for ways to remedy the situation. (found that security giant Checkpoint did the same thing) Luckily, and I highly recommend everyone do this, I had purchased a back-up domain name so the site did not go down completely. But, it was an unnecessary, time-killing task that was not on my already busy to-do list. Why would anyone else finding a domain want a domain name with someone else’s name? Well, if you, as a marketer and branding consultant have done a good job, that domain name has real value, especially to online “speculators.” Just like house flipping in the real estate market, domain names are online real estate and speculators love to get their hands on something at a low to medium price, load it up with inbound and outbound links, increase the value and sell it for a profit. It used to be they would just register unused domain names, but then realized there was a better market in those with built in traffic from other sites and search engines. Low and behold….this is how they got hold of mine. How to start the nightmare of getting your domain name back and is it worth it? Even though it’s your name, it’s no longer in your possession the minute it expires; it’s on the market for anyone to buy, and speculators buy up quickly! Next step, I replied back requesting some sort of documentation of the sale so that I would know it was a legitimate asking price. At this point, it wasn’t the $150 I was concerned with, I just wanted to be sure all the ducks were in a row and it wasn’t some Nigerian scam artist. Much to my chagrin, no dice, not willing to share any documentation with me at all and rescinded the offer of $150. Not sure what to do next, I went back to my registrar, GoDaddy, to see how to proceed. 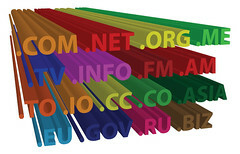 For $69.95 GoDaddy will try to get your domain name back. My thought here was that by using this service I would know that if/when the transaction took place it would all be above board, legal and protected…at least I hoped it would. Within 24 hours I received an “appraisal” of the domain name, all legal like, and according to however they come up with that figure, it was worth $80. The next move was to enter the lowest and the highest figure you were willing to pay, if the new owner was willing to sell. Ok, at this point I was willing to bet the rest of the bank and went as high as $200 figuring the new owner would be making an extra $50 on top of the $50 he wanted in the first place, doubling his money within 72 hours. Pretty shrewd, but it wasn’t to be. The next email from GoDaddy stated the new owner wasn’t willing to sell. There are other steps that can be taken, but quite complicated, time consuming and probably not within my realm. Yes, I’ve learned my lesson…..expensively, and came away with nothing but a massive headache and a client that was hot under the collar. Although forgiven, I feel I let them down and should have been better prepared! Always keep track of the domain names you own and when they will expire. Always pay the renewal on time. Very Informative..just like one of Aesop’s Fables… with a moral. ‘Just when you think you have things under control…you don’t. It’s amazing how much competition is in that name. When all is said and done, it’s just a name… but it’s your hard work and traffic they want! Duly noted!